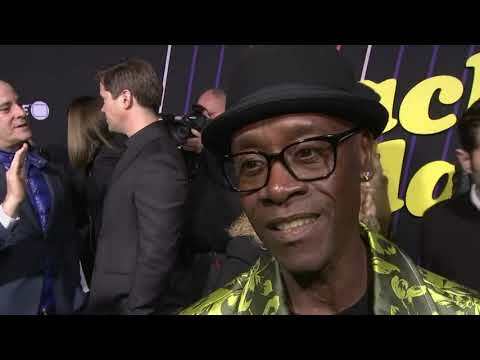 NEW YORK (AP) — Don Cheadle delivered some political messages along with jokes as he hosted "Saturday Night Live" for the first time. The actor sported a T-shirt that said "Protect Trans Kids" as he introduced musical guest Gary Clark Jr.
And in closing Saturday's show, Cheadle wore a jersey with the former Soviet Union's initials on the front, while the back bore the name "Trump" and the number 45 — as in the 45th U.S. president, Donald Trump. — "He moved on today? We lost one of the great ones. Great writer... Well, all right (points up) see you in the next one Sam." — Matthew McConaughey, visibly shaken after learning about Shepard's death on a red carpet Monday evening. — "A great man of the theater has passed. Thank you, Sam Shepard. RIP." — Actor Jason Alexander on Twitter. Opening gross (inflation-adjusted): $143,731,300Total box office gross (inflation-adjusted): $347,410,100Starring: Robert Downey Jr., Gwyneth Paltrow, Don CheadleWith the world now aware that he is Iron Man, billionaire inventor Tony Stark (Robert Downey Jr.) faces pressure from all sides to share his technology with the military. He is reluctant to divulge the secrets of his armored suit, fearing the information will fall into the wrong hands. With Pepper Potts (Gwyneth Paltrow) and "Rhodey" Rhodes (Don Cheadle) by his side, Tony must forge new alliances and confront a powerful new enemy. 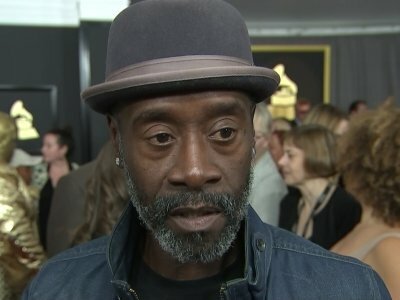 Don Cheadle is set to star and produce in 'Prince of Darkness'. The 52-year-old actor has reportedly jumped on board the upcoming biopic - based on Jeremiah G. Hamilton, who is described as Wall Street's first black millionaire - although nothing has been set in stone yet and it's not known if he'll play the lead. LOS ANGELES (AP) — Dave Chappelle has celebrated Tuesday's release of a pair of Netflix comedy specials with some high-profile friends. USA Today reports Chappelle hosted a late-night party Monday at a Hollywood club ahead of the specials' release. Kanye West, Kendall Jenner and Stevie Wonder were among those in attendance. 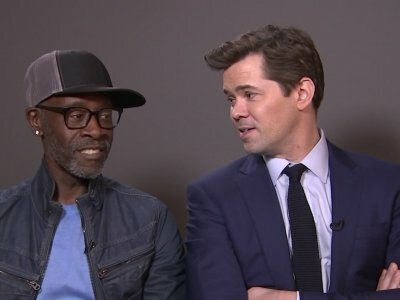 Don Cheadle wants to babysit for George Clooney. The 52-year-old actor joked he wouldn't trust his close pal, whose wife Amal Clooney is pregnant with twins, to look after his own daughters, Ayana Tai, 20, and Imani, 18, but says he'll happily take care of the 'Monuments Men' star's babies after they're born in June. Smart Rating: 90.69Year won: 2006Starring: Sandra Bullock, Don Cheadle, Matt DillonRacial tensions collide in a collection of intertwined stories involving residents (Sandra Bullock, Don Cheadle, Matt Dillon) of Los Angeles.